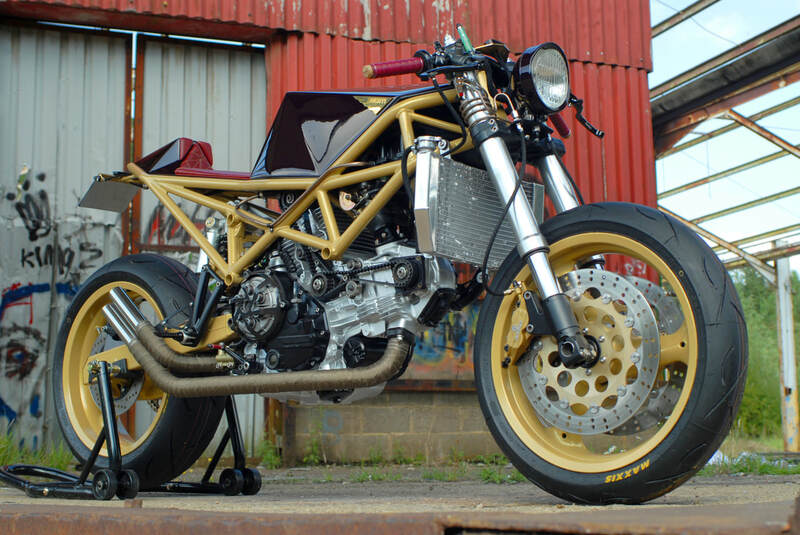 I'm a Buckinghamshire based custom motorcycle builder. I like to transform regular vintage bikes into original, bespoke customs. Whether it's a bobber, track bike, scrambler or café racer, my aim is to build something unusual and original, with an attention to detail and a very high quality finish. Working closely with the client, I'll talk them through the design and spec options from the start, then keep them up-to-date with the progress of the project on a regular basis. Don't be shy. If you're curious about the possibility of having your very own, one-off custom bike, get in touch. I'll be happy to chat with you.